I have been deluged with people screaming at me because I am not reporting that the “co-pilot was a Muslim convert.” That is because ALL the so-called ‘evidence’ is coming from a single internet source, Speisa, in which the only ‘hard evidence’ provided is that the author, himself, says so. Should any real hard evidence be published, I will post it. 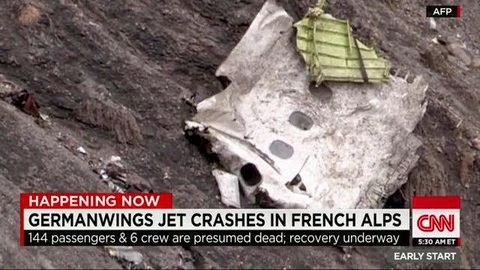 On the other hand, I do firmly believe that Muslims ARE indirectly responsible for why this Germanwings 9525 co-pilot was so easily able to crash the plane into the French Alps. 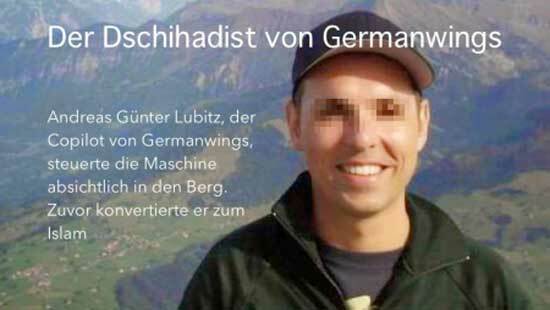 Translation from German: All evidence indicates that the copilot of Airbus machine in his six-months break during his training as a pilot in Germanwings, converted to Islam and subsequently either by the order of “radical”, ie. devout Muslims , or received the order from the book of terror, the Quran, on his own accord decided to carry out this mass murder. 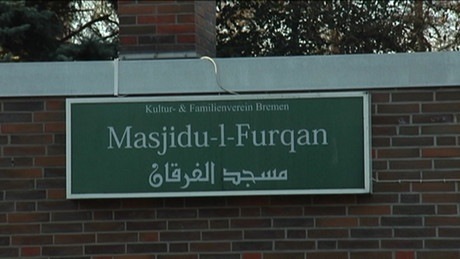 As a radical mosque in Bremen is in the center of the investigation, in which the convert was staying often, it can be assumed that he – as Mohammed Atta, in the attack against New York – received his instructions directly from the immediate vicinity of the mosque. From Roman Catholic Imperialist: It was said that Lubitz had a Muslim girlfriend. It is unclear if she was still dating Lubitz at the time of the crash. It is unclear if he met the woman through his Muslim friends. One said that Lubitz had broken off the relationship after he pledged to commit Jihad for Allah. Carsten Spohr, CEO of Germanwings parent company, said in a press conference today that Lubitz “took a break in his training six years ago. Then he did the tests (technical and psychological) again. And he was deemed 100 percent fit to fly.” “I am not able to state the reasons why he took the break for several months. I can because Lubitz converted to Islam during his break. 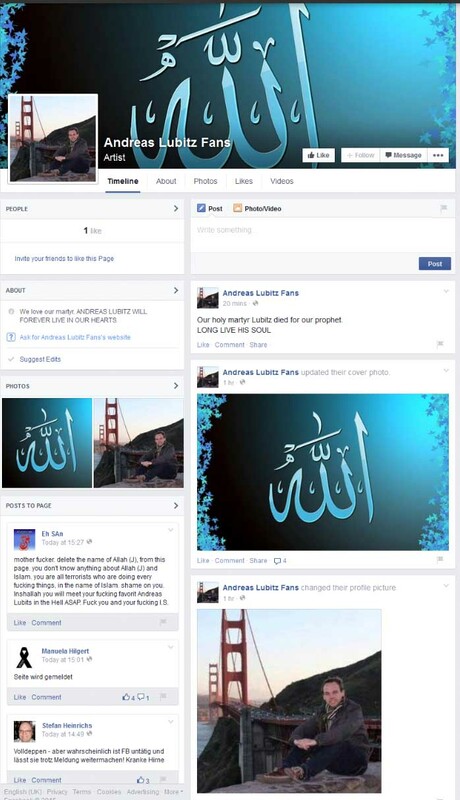 A number of Facebook pages referencing the co-pilot of Flight 9525, Andreas Lubitz, included one that supposedly was from the Islamic State praising him for his actions. Whether or not ISIS actually did put it up, it is quite common for Muslim groups to heap praise on anyone, Muslim or infidel, who manages to kill a lot of infidels. A search of Lubitz’s apartment in Dusseldorf found ripped-up medical leave notes that indicate he suffered from an illness and should not have been flying on the day of the crash. Documents with medical contents were confiscated that point towards an existing illness and corresponding treatment by doctors. Police also searched Lubitz’s parent’s home in Montabaur and left with boxes of evidence. 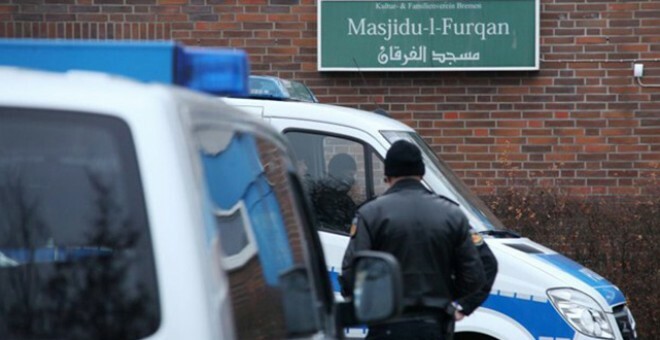 The Dusseldorf prosecutors said they found no suicide note, no confession, and no indication of political or religious motivation. They did not specify the nature of the illness — whether it was physical or mental. Now, back to the reason why Muslims ARE responsible for this mass murder of civilians: The knee-jerk reaction to 9/11 produced the ill-conceived reinforced cockpit door that had catastrophic consequences. Independent A leading aviation security expert has condemned the rules on cockpit access as a “knee-jerk reaction to the events of 9/11” – which, he says, enabled the Germanwings co-pilot to commit the mass murder of the 149 other people on Flight 4U 9525. 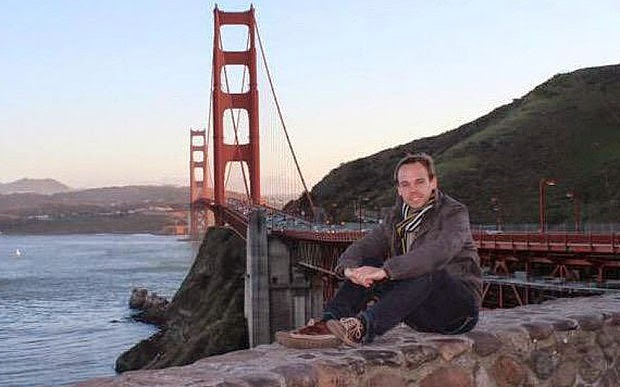 Andreas Lubitz used his expertise to lock the captain out of the flight deck of the Airbus A320. He knew that the procedures implemented since 11 September 2001 enabled someone on the flight deck to take total control. 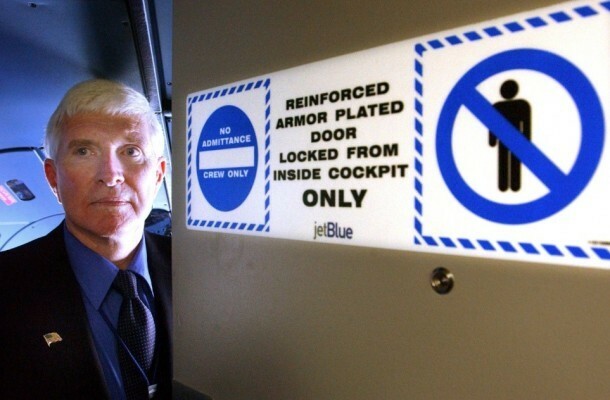 After the terrorist attacks, airlines began to install reinforced doors. Costing hundreds of thousands of pounds each, they are intruder-proof and bullet-proof. The system includes a keypad that is intended to allow authorised crew to enter the flight deck if the pilots become incapacitated. 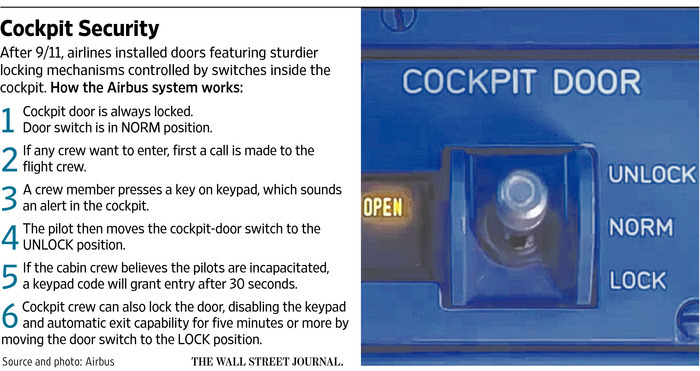 But a promotional video made by Airbus demonstrates how easy it is to deny access even to fellow crew who know the emergency code. With a flick of a switch, someone with ill intent can deny access for a minimum of five minutes. Given that it was several minutes after leaving the flight deck before the locked-out captain would have begun the procedure for gaining access, the co-pilot had time to carry out his plan to crash the aircraft. Mr Baum said that the philosophy of aviation security was skewed too far towards preventing a repeat of the 2001 attacks. Should we be on the lookout for aircraft-related copycat suicides in the wake of the news regarding the cause of Flight 9525’s demise? 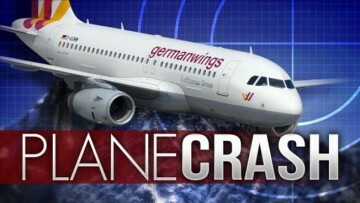 Andreas Lubitz, the copilot of Flight 9545, appears to have brought down the Germanwings Airbus A320 Flight 9525 on March 24, 2015. A short history of modern suicide-related aircraft disasters, in general, do not list the single craft crashes that occur in the wake of the larger aircraft wrecks. Egyptair SU-GAP Boeing 767-300 at Dusseldorf Airport. 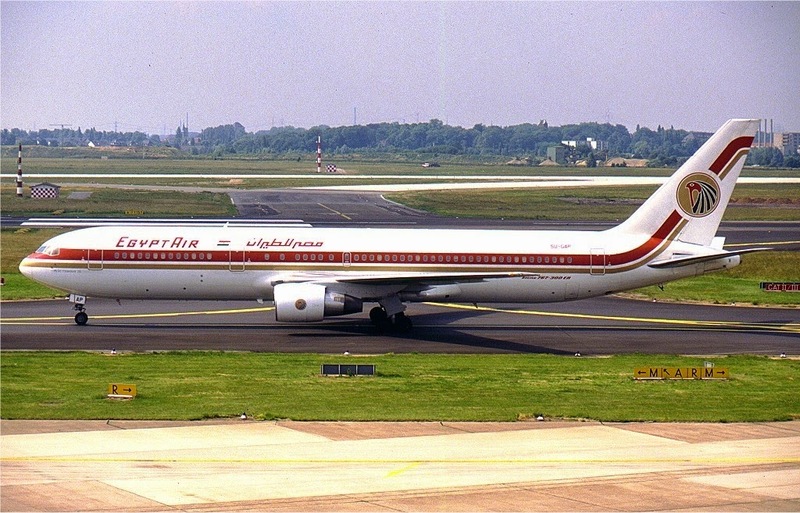 The aircraft crashed in the Atlantic Ocean in 1999 as Egyptair Flight 990. 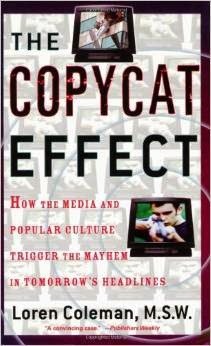 In 2004, I wrote my book, The Copycat Effect: How the Media and Popular Culture Trigger the Mayhem in Tomorrow’s Headlines, and dedicated it to David Phillips for his groundbreaking work that had been largely ignored by most scholars up to that time. In 1974, University of California at San Diego sociologist David P. Phillips coined the phrase, “The Werther Effect,” to describe the copycat phenomenon. The word “Werther” comes from a 1774 novel, The Sorrows of Young Werther, written by Johann Wolfgang von Goethe, the author of Faust. In the story, the youthful character Werther falls in love with a woman who is promised to another. Always melodramatic, Werther decides that his life cannot go on, and that his love is lost. He then dresses in boots, a blue coat, and a yellow vest, sits at his desk with an open book, and, literally at the 11th hour, shoots himself. In the years that followed, throughout Europe, so many young men shot themselves while dressed as Werther had been and seated at their writing desks with an open copy of The Sorrows of Young Werther in front of them, that the book was banned in Italy, Germany, and Denmark. I also observed that sociologist David Phillips noted in 1978 that airplane accident fatalities normally increase just after newspaper stories about murder and suicide. Phillips found an increase in both suicides and murder-suicides following other well-publicized suicides and murder-suicides, including suicides hidden in unrecognized aircraft accidents – especially in single-plane wrecks. Phillips’s theory about a follow-on increase in plane crashes noted some “disguised suicides” followed soon after high media attention to suicides in the news. Therefore, we should be aware that the media’s present high volume of stories on Andreas Lubitz’s apparent murder-suicide of 150 people on Flight 9525 probably will lead to more covert and some overt suicides by other pilots and aircraft employees. An increase in single aircraft (so-called “general aviation”) crashes in the forthcoming weekend, and then in the following month, are predictable outcomes. Coleman, Loren. The Copycat Effect: How the Media and Popular Culture Trigger the Mayhem in Tomorrow’s Headlines. New York: Simon and Schuster, 2004. Phillips, David P. “Airplane Accident Fatalities Increase just After Newspaper Stories About Suicide and Murder,” Science 20, August 25, 1978. Phillips, David P. “Airplane Accidents, Murder, and the Mass Media: Towards a Theory of Imitation and Suggestions,” Social Forces 58:4, June 1980. Flight 9525 departed just after 10 a.m. Tuesday, March 24, 2015, from Barcelona, Spain, for Dusseldorf, Germany, with 144 passengers — among them two babies — and six crew members. It went down at 10:53 a.m. (5:53 a.m. ET) in a remote area near Digne-les-Bains in the Alpes de Haute Provence region. All aboard are presumed dead. 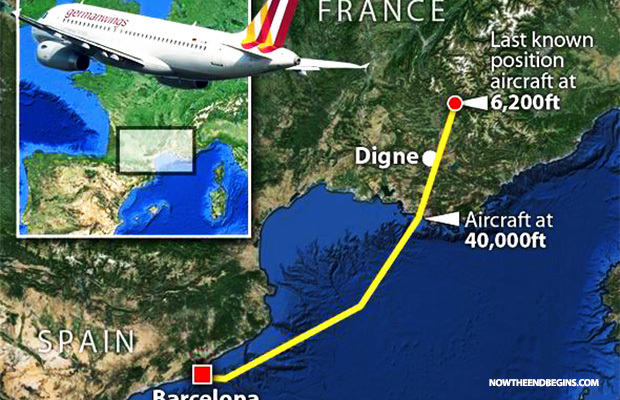 One of the pilots on Germanwings Flight 9525 was locked out of the cockpit when the plane crashed Tuesday, a senior military official told The New York Times, citing evidence from the cockpit voice recorder.Dugne-les-Bains is an intriguing location for this plane to have crashed. First of all, Bain relates to Bane (poison; fatal cause of mischief; death; destruction; killer; slayer; curse), and in Scottish legend, the Bain Fairy is a death fairy who is the keeper of the Bain Bridge. The northern English surname Bain is sometimes derived from a nickname meaning “bone,” which probably referred to someone who was exceptionally tall, or lean. This nickname is derived from the Old English ban, meaning “bone.” In northern dialects of Middle English, the a was preserved, but in southern dialects the a was changed to o (the southern form became the standard). In other cases, the northern English surname is derived from a nickname of a hospitable person. This nickname is derived from the northern Middle English beyn, bayn, which mean “welcoming,” “friendly”; these are in turn derived from the Old Norse beinn, meaning “straight,” “direct”. The Scottish surname Bain is derived from a nickname for a person with fair-hair. This name is derived from the Scottish Gaelic bàn, meaning “white,” “fair”. The name was common in the Scottish Highlands, and is first recorded in 1324 in Perth. The surname can also be, in some cases, a reduced form of the surname McBain. The Scottish Gaelic form of the surname Bain is Bàin(masculine), and Bhàin (feminine). The name may also be a variant spelling of the north German surname Behn. In the case of Digne-les-Bains, the name relates to the “baths” in the area. I had not talked about Alexandra David-Néel in years. It seemed an unusual side note. 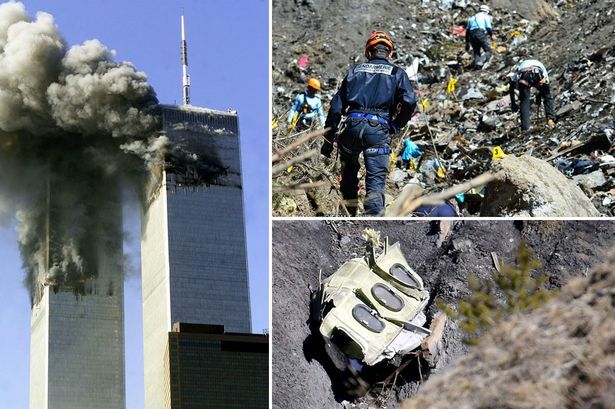 But then Flight 9525 crashed, and it became a personal sync. 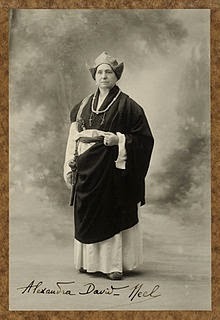 Alexandra David-Néel, French explorer, spiritualist, writer, in Lhasa in 1924. Alexandra David-Néel, born Louise David (24 October 1868 – 8 September 1969), was a Belgian-French explorer, spiritualist, Buddhist, anarchist and writer. She is most known for her 1924 visit to Lhasa, Tibet when it was forbidden to foreigners. David-Néel wrote over 30 books about Eastern religion, philosophy, and her travels. Her teachings influenced beat writers Jack Kerouac and Allen Ginsberg, philosopher Alan Watts, and esotericist Benjamin Creme. Alexandra continued to study and write at Digne-les-Bains, till her death there at the age of nearly 101. According to her last will and testament, her ashes and those of Yongden were mixed together and dispersed in the Ganges in 1973 at Varanasi, by her friend Marie-Madeleine Peyronnet. When Alexandra David-Neel journeyed through Tibet, one of the many mystical techniques she studied was that of tulpa creation. A tulpa, according to traditional Tibetan doctrines, is an entity created by an act of imagination, rather like the fictional characters of a novelist, except that tulpas are not written down. David-Neel became so interested in the concept that she decided to try to create one. (See more on how I, Loren Coleman, and Jerome Clark moved the tradition of tuplas into the Fortean awareness, in 1975 and 1978, here: Tulpas. )Worthy of mentioning, too, are the opera singers who died abroad Flight 9545, and their links to their last spiritual performance. Barcelona’s Liceu opera house said late Tuesday [March 24, 2015] that two singers who had been performing in [Richard] Wagner’s Siegfried were on board: the baritone Oleg Bryjak and the contralto Maria Radner. Ms. Radner was traveling with her husband and baby, said Joan Corbera, a Liceu spokesman. Source. A contralto, Radner played the goddess Erda in her debut at the Liceu opera house and Bryjak, a bass-baritone, played the evil dwarf Alberich. Siegfried, WWV 86C, is the third of the four operas that constitute Der Ring des Nibelungen (The Ring of the Nibelung), by Richard Wagner. It premiered at the Bayreuth Festspielhaus on 16 August 1876, as part of the first complete performance of The Ring. This part of the opera is primarily inspired by the story of the legendary hero Sigurd in Norse mythology. Sigurd (Old Norse: Sigurðr) is a legendary hero of Norse mythology, as well as the central character in the Völsunga saga. The name Sigurðr is not the same name as the German Siegfried. The Old Norse form would have beenSigruþr, a form which appears in the Ramsund carving that depicts the legend. Sivard is another variant name of Sigurðr; these name forms all share the first element Sig-, which means victory. The crash site is within the Massif des Trois-Évêchés and is close to Mount Cimet, where Air France Flight 178 crashed in 1953. 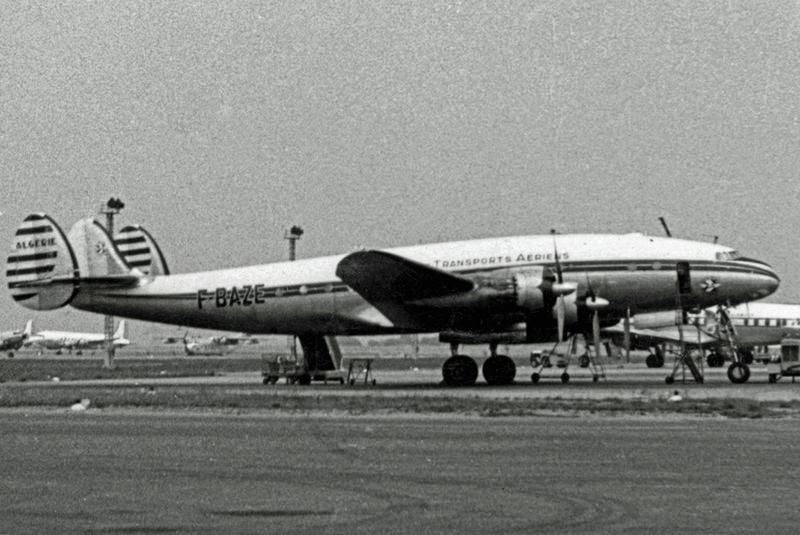 The 1953 crash involved a Lockheed L-749A Constellation. The 9525 crash happened in what the International Business Times calls a “freakishly close” location near the village of Barcelonnette. On September 1, 1953, an Air France Lockheed L-749A Constellation crashed into Mont Cimet, less than a mile away from the Germanwings site, as it prepared to land in Nice, NBC News reports.